We are twelve days away from pitchers and catchers reporting to Spring Training. 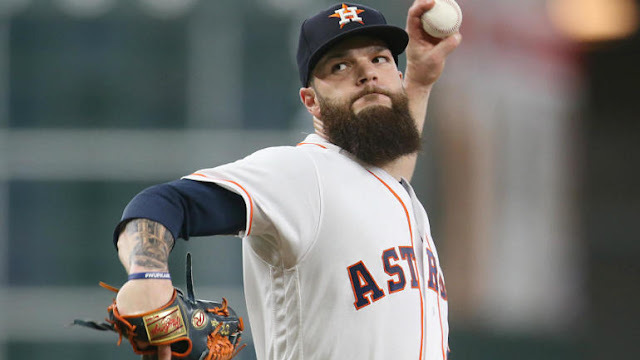 The biggest free agents should know which uniform they will be wearing and getting ready to settle in with their new teams. Brian Cashman has made a lot of moves to improve the team this winter, but there are still so many free agents out there. Maybe there is a bargain to be found. Is it possible that Cashman isn't done shopping yet? It's hard to believe that Manny Machado and Bryce Harper are still unsigned. They are young superstars who expected to have a lot of money thrown at them but haven't. 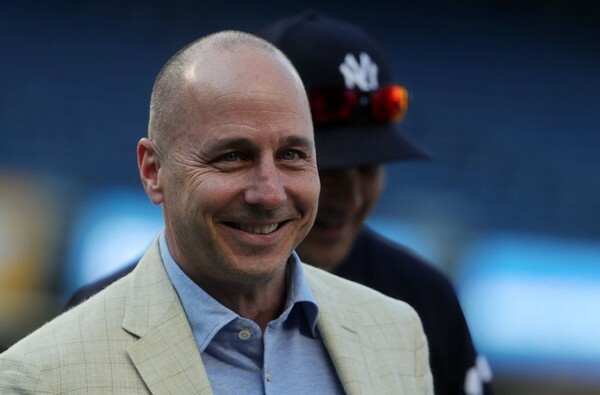 With their value still declining, could Cashman be poised to make a move? After all, he did say that the Yankees were a "fully operational Death Star" but without Machado or Harper can it really be "fully operational?" It's hard not to speculate when you have big names out there still. The Yankees have swooped in at the last minute and stolen big names before....remember Mark Teixeira? It was nice to steal him from the Red Sox. Too bad the Red Sox aren't rumored to be chasing either player to make it more exciting. 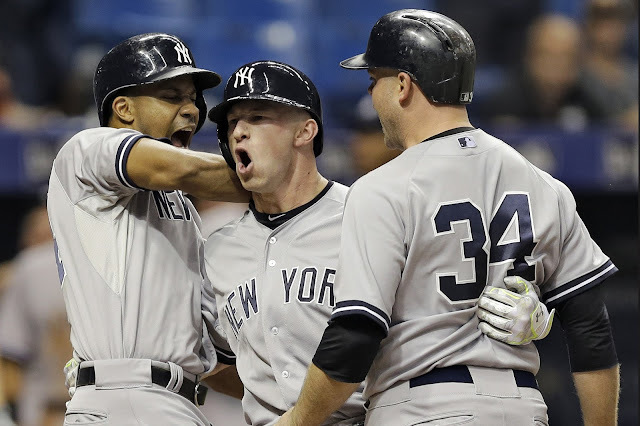 The Yankees made some good additions this winter, but it sounds like they may not be done. Cashman may have one more trick up his sleeve according to multiple sources. Nick Cafardo of the Boston Globe thinks Cashman may be shopping for more pitching HERE, and if you are like me and aren't interested in getting your Yankee news from the Boston Globe Jon Heyman is also reporting the same thing HERE. Interesting. The Yankees have a full rotation already. They held off on the Sonny Gray trade until they had a better understanding of CC Sabathia's recovery from his surgery, but eventually did trade him. Now the Yankees are looking for some more pitching depth. The Yankees could be looking for an impact bat, especially a lefty....but Cashman is looking at more pitching. The cliche is true, you can never have enough pitching, but I wonder which pitcher Cashman has his eye on. Dallas Keuchel is 31 and looking for big money. I don't think he is the bargain Cashman is looking for. 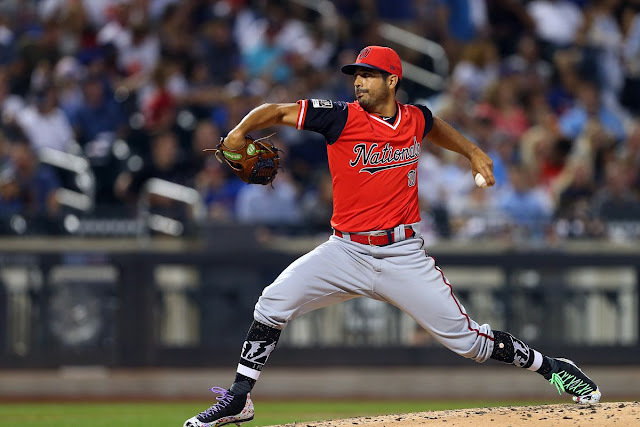 The Yankees already have three lefties but could he be looking at Gio Gonzalez? Or maybe he is looking for another cheaper reclamation project like Jeremy Hellickson. He spent time on the disabled list last season but when he did pitch he pitched well for Washington. 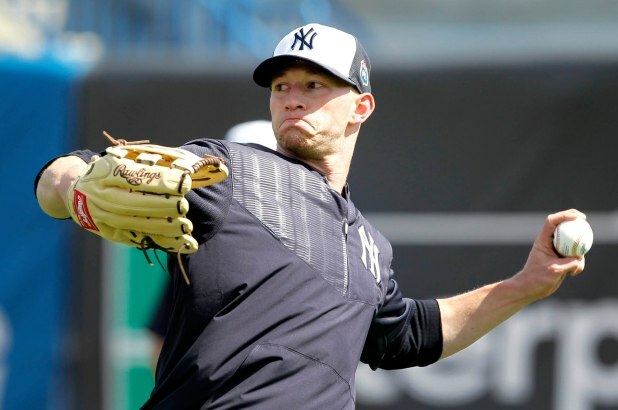 The Yankees are projected to have the third best rotation in baseball according to Fangraphs right behind the Indians and the Red Sox but the Yankees are still shopping for pitching. I guess the Yankees Death Star isn't fully operational after all. Cashman has his poker face back on. So what completes the Death Star? Is it another starting pitcher....or a big bat? 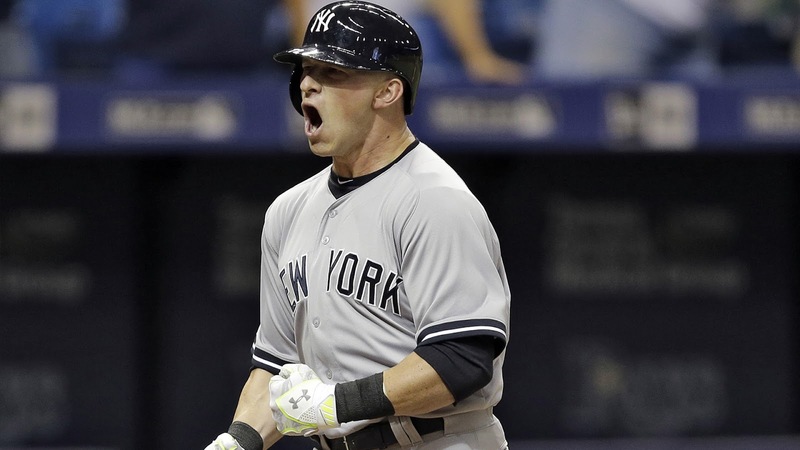 Another season, another Yankee makes his way to Miami. According to MLB.com, "the Marlins added a veteran to their infield mix on Tuesday by signing Neil Walker to a one-year contract. MLB Network insider Ken Rosenthal reported the value at $2 million, according to sources." Good, another dead bat heads down south. Sorry, I just never saw his value to the team and I am grateful he can go and contribute to some other team outside of the American League East. "Walker will be hoping to rebound following a difficult '18. A free agent a year ago, Walker didn't sign with the Yankees until March 12 and then struggled to get going. The switch-hitter posted a .402 OPS in the opening month and .563 before the All-Star break," reports MLB. So with Walker gone, Ronald Torreyes gone, who will be the Yankees go to, all around utility player? 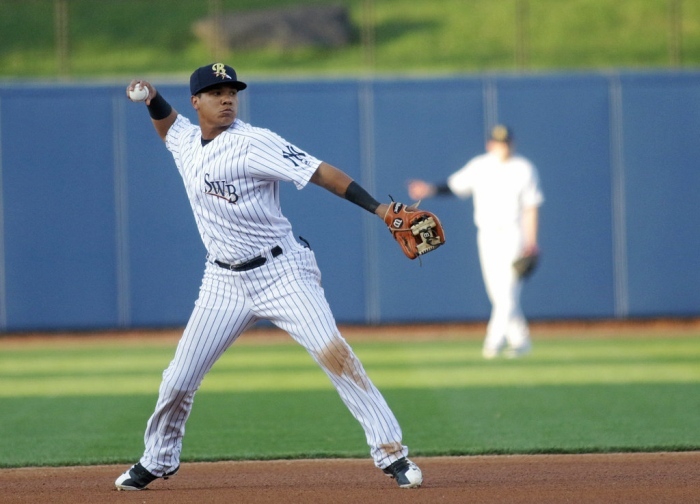 The banter is that 21-year-old Thairo Estrada, who the Yankees added back in November 2017 to their farm system, could see playing time in the big leagues in 2019. "The Yankees valued Estrada’s potential enough to promote him to the 40-man roster at the age of 21, last November. Unless the Yanks acquire a new player, the Venezuelan prospect will have a good chance to fight for a major league roster spot during Spring Training," reports Fansided. 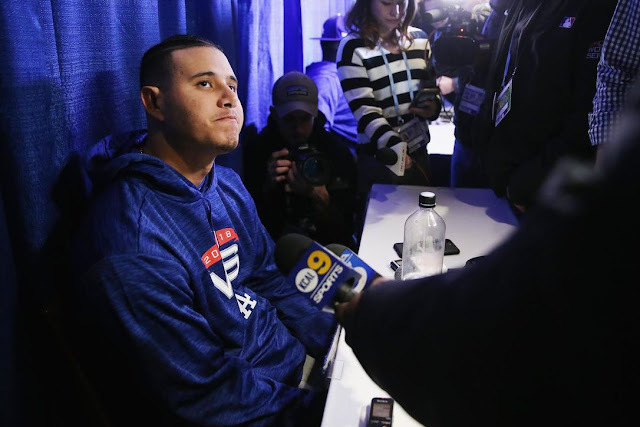 You may recall that Estrada missed Spring Training last year as he recovered from a gunshot wound he suffered when two teens tried to rob him while he was dining in a restaurant with his wife back home. After that, Estrada played at Scranton-Wilkes Barre until injury plagued him. He went on the DL with wrist and back issues last year. 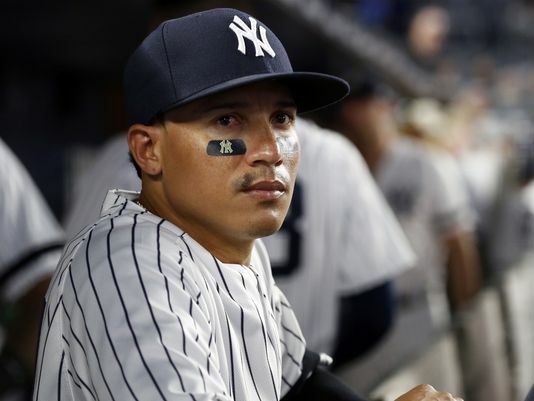 On the bright side, Estrada has a lot of similarities to fan favorite Ronald Torreyes and could make an impact on the 2019 Yankee team given an opportunity to do so. "Like Torreyes, he’s a solid fielder with plus arm strength, and he’s athletic enough to play the outfield. The resemblance between Estrada and Torreyes’ abilities is what likely led recent Toe’s departure," reported Fansided. The Yankees also have Tyler Wade who was virtually ineffective in 2018. 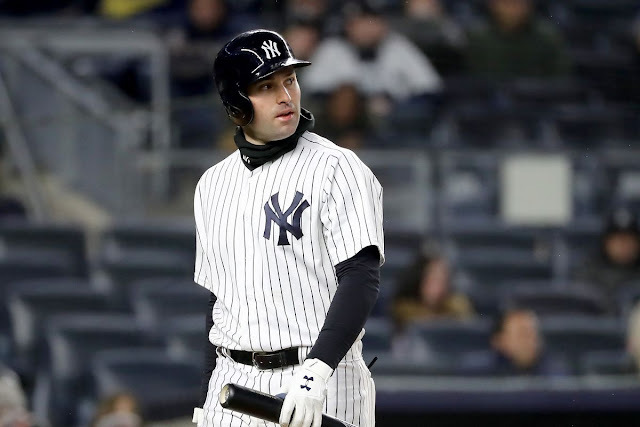 Another possibility is that the Yankees go out and sign a veteran power middle infielder to fill the void left by Didi Gregorius, who is still recovering from Tommy John surgery. 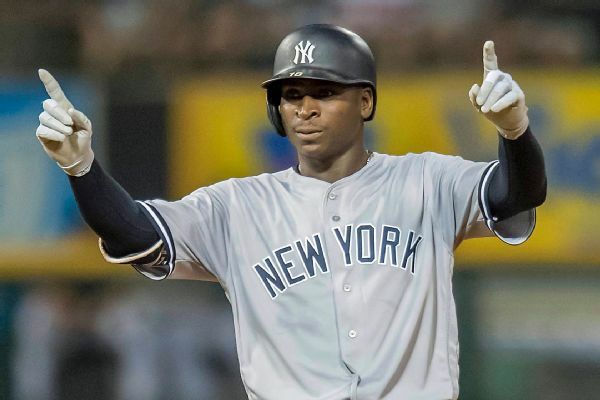 Gregorius is expected to miss at least the first half of the 2019 season. One thing is for certain. 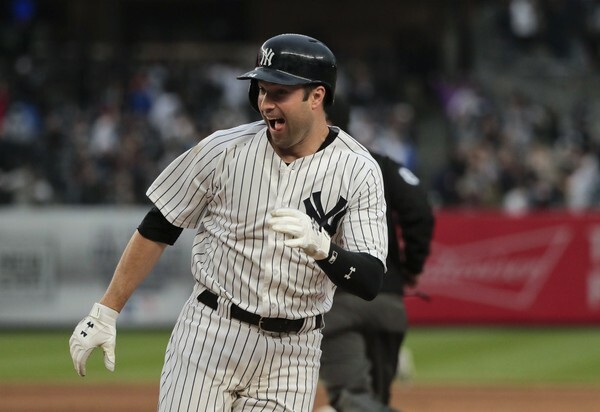 Neil Walker is gonzo and the Yankees have an opportunity to bring in another power player to add some offense and defense to various infield positions and support the days off Aaron Boone seems to give players on a consistent basis. Good bye, Neil. Hello, new guy, who ever you are. 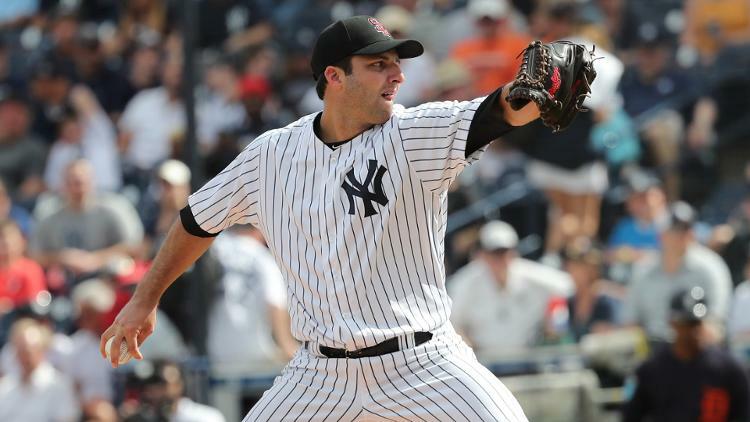 David Hale is back with the New York Yankees. The Hales must be proud. I know what you're thinking... "Hale was a Yankee before?" Yup. Look, there is literally nothing to report from Yankeeland, so why not celebrate David Hale and Jorge Saez. How exciting! Released: RHP Miles Chambers | RHP Spencer Mahoney | OF Mitchell Hansen | OF Matt McPhearson"
Look, just alittle housekeeping as we inch closer and closer to the season. Just had to let you know. I know this report will start your day off right. It's better than speculating on Manny Machado. Not sure why any other blogs does that. OH yeah, that's right... they want clicks. We don't do that BS here. 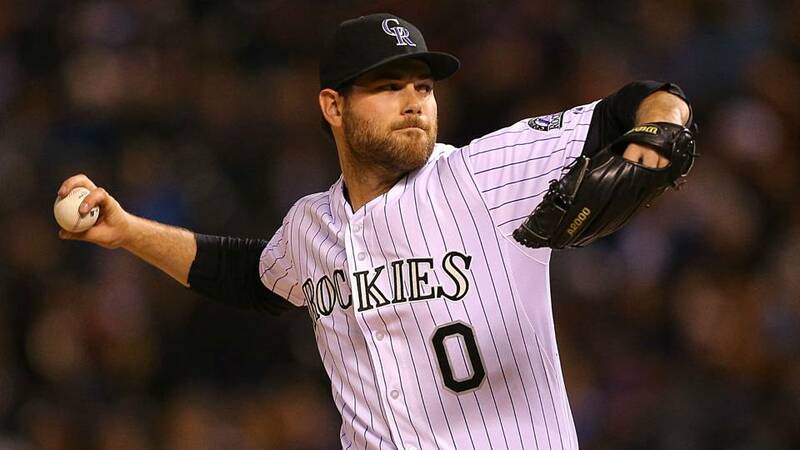 OTTAVINO'S SELF PROCLAIMED "BAD EXAMPLE"
Welcome to New York, where the spotlight is bigger and you don't get that nice "introductory period" that you may in other cities. 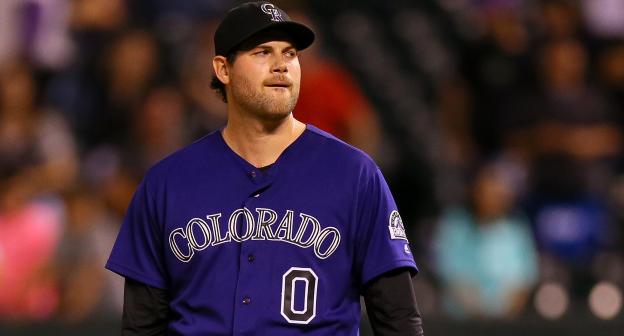 Adam Ottavino was officially a Yankee for one day and he was already sitting in the hot seat. That didn't take long. Back in December Ottavino said he would "strike out Babe Ruth every time," read that HERE if you missed it. 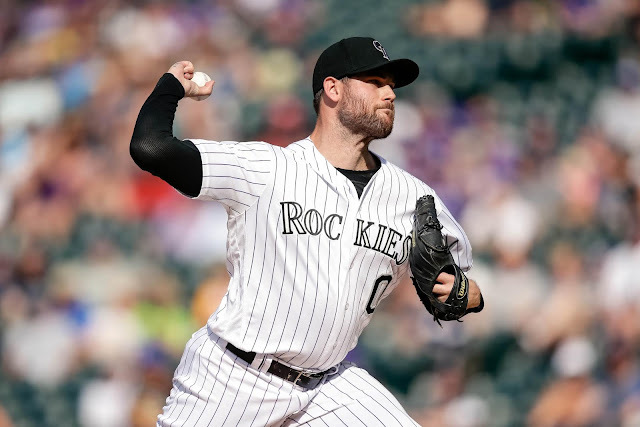 Apparently, that comment came from a conversation Ottavino had with a Triple-A pitching coach 10 years ago and that comment was taken out of context. "Certainly, I probably used a bad example of the point I was trying to make about the evolution of pitching over baseball history. Babe Ruth is probably a name I shouldn’t have used in this example, but I caught a lot of flak for it." So was it just a poor choice of words? He's not wrong that the game has changed since the days of Ruth. Then again, talent is talent and Ruth is a name that lives on in infamy. 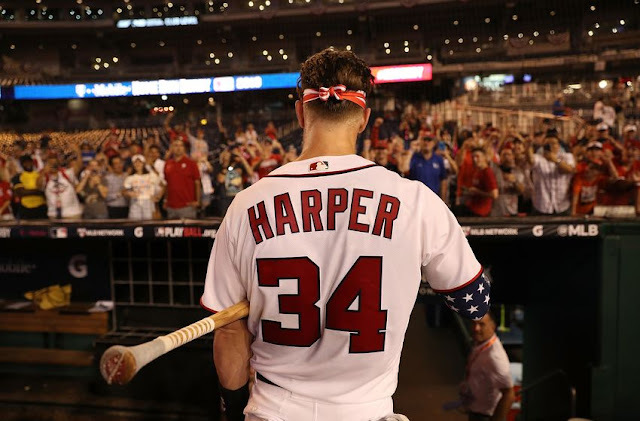 He was elite in the era that he played in and his 714 career home runs, .342 batting average and all-time career records of slugging percentage in his 8,339 career at-bats are undeniable. The game that Ruth played and what Ottavino plays have evolved just like everything does. The game changes, but greatness never fades and his legacy is proof of that. "I saw when they put the quote out of context out there why people would get so upset. I meant no disrespect. I’m a huge baseball historian. I love the game. It’s not something that can be proven anyway, so I thought it was a little funny." He's right, it can't be proven so even if he had meant it or not, it doesn't matter. 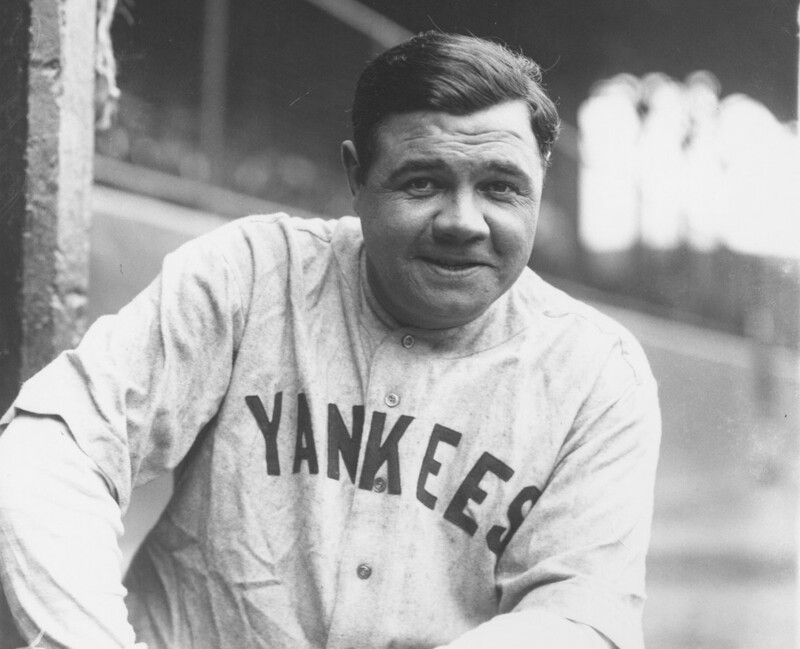 Babe Ruth is Babe Ruth and there is no changing that. Ottavino's fastball can't change that and today's modern bats can't either. Ruth made history, and maybe Ottavino will too. So was this a "non-story?" Maybe, but here we are talking about it again. As long as Ottavino pitches well and helps this team all will be forgiven. It always ends up that way, right? Do something that makes fans happy and all is forgiven. Anyway....as of Friday he is officially a Yankee so, welcome to pinstripes Ottavino! Now let's focus on striking out all of those other opponents you will face. With Super Bowl Sunday one week away that only means one thing… baseball is almost back! 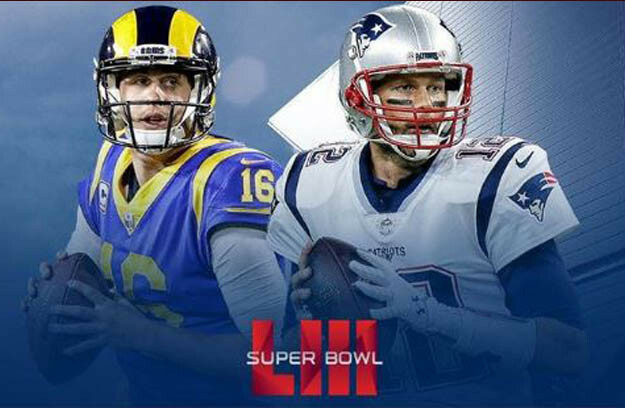 For me the best parts of the Super Bowl are snacks and commercials anyway, so why not look beyond that to the dawn of a new season? Yankees pitchers and catchers report on February 13th while the Mets open for business the day before on February 12th. I, like you I’m sure, could not be more excited. 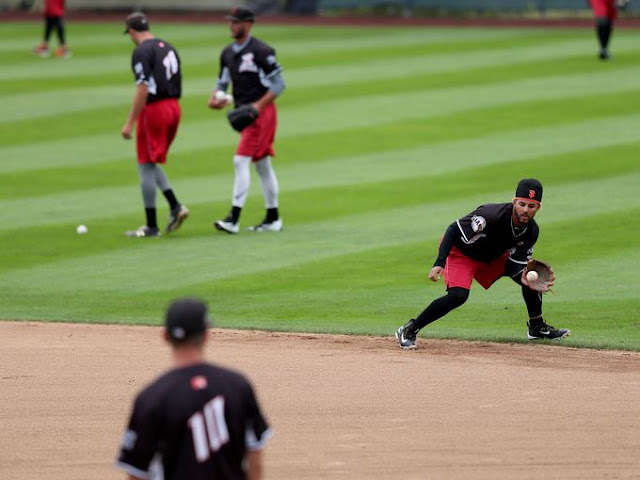 Baseball will soon be back as the 2019 Spring Training kicks off in a playful, relaxed way - giving guys time get loose and get ready for a long season ahead. I actually attended a few spring training games during the 2016 season, and it was a great experience. Not only did I get to see some of the new acquisitions play, as well as some of Mets prospects, it was great to see veteran players in a more laid back setting. Like George Steinbrenner Stadium, home of the New York Yankees in Tampa, Port Saint Lucie in Mets land is an intimate field, where you can see absolutely everything going on no matter where you sit. You’re physically closer to the game and this does mean you need to keep an eye out for baseballs making their way into the stands more frequently and being more a part of the action than at a usual in-season game. And because of the relaxed atmosphere, players are more likely to talk to you and even sign autographs. 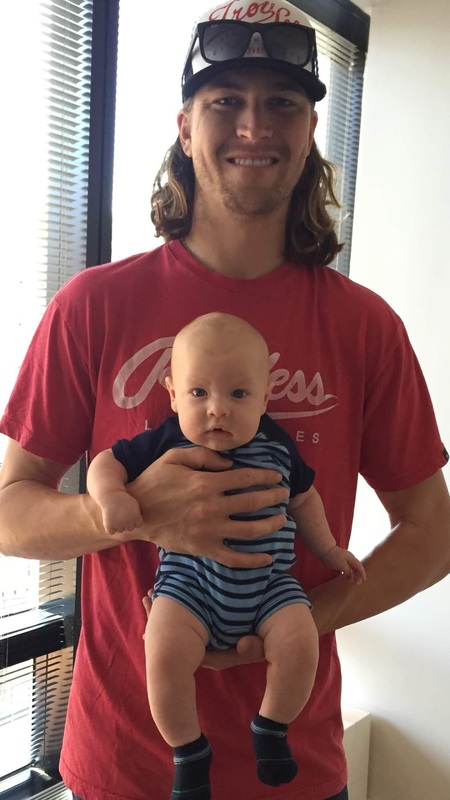 As a Mets fan, my favorite part of Spring Training, besides the rum buckets, (clearly another benefit) was getting to see Mets ace Jacob Degrom’s wife and their then newborn son just hanging around the team store. Needless to say, I did not know what to do with myself since Degrom is my favorite player. Being close to the sights and sounds of the game is a great reason in itself to hop a plane to Florida or Arizona. Another nice element of pre-season baseball is the World Baseball Classic, and in 2016, I was able to go to Marlins Park to watch USA play the Dominican Republic. Marlins Park is definitely one of the more impressive baseball stadiums. This is of course, despite the huge Christian Yelich poster on the elevator doors. With Yelich with the Brewers now, I guess that site is no longer with us. RIP! The Mets have certainly had a busy offseason adding a number of new players to rival the Yankees’ signings. 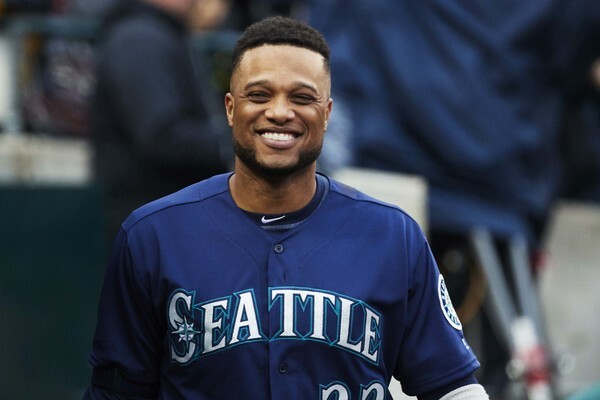 Signing Jed Lowrie (2B), JD Davis (3B), Edwin Diaz (RP), Robinson Cano (2B), Justin Wilson (P), Wilson Ramos (C ), as well as a number of minor league players, it will be interesting to see how the new additions mesh with their returning Met teammates. 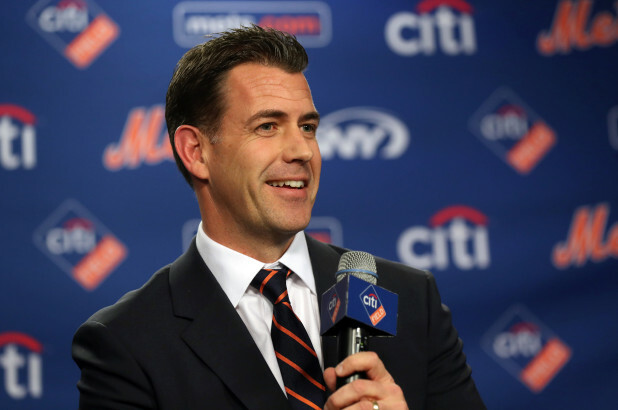 According to an article by northjersey.com, General Manager Brodie Van Wagenen said the team is not planning on making any other big moves during this offseason. The main goals have been accomplished, including creating more depth to the lineup as well as improving catching and relief pitching. "We feel really good about what we accomplished. 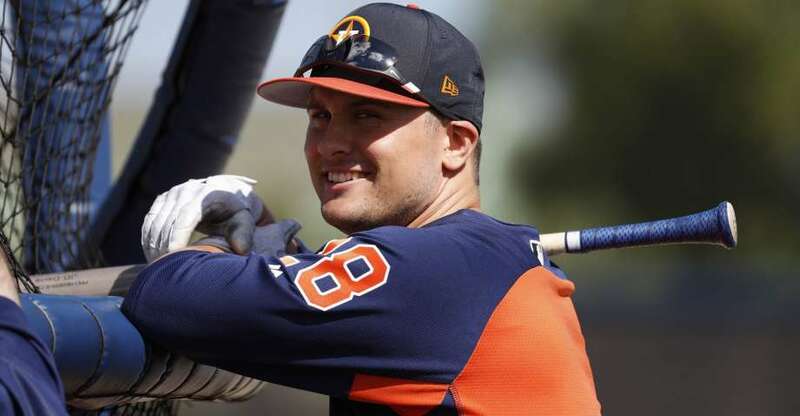 We feel really good about the team we have at this point in the offseason," Van Wagenen said. "Hopefully feel like we’re at a little bit of a competitive advantage to teams that still are trying to build their teams at this point. We’re very happy with the offseason so far." One interesting acquisition is JD Davis, a third-baseman who the Mets may try out as a pitcher. Although he is seen as a good hitter, Van Wagenen may be interested in trying Davis out at a two-way player. "J.D. Davis gives us another really versatile offensive-minded player," Van Wagenen said. "With what he's accomplished the last couple of years in Triple-A and the Minor Leagues, he's proven that he can be an added value to us on the big league roster." Whether we see Davis in the infield, outfield, or a pitcher, I know he’ll make a great and diverse player for the Mets. The Yankees are pretty much done with their acquisitions as well with no Manny Machado signing anywhere, yet. 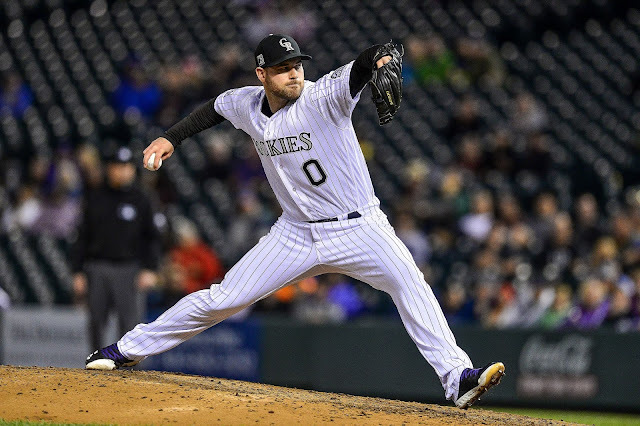 The Yankees will draw their excitement from their new pitchers, Adam Ottavino and James Paxton, and essential infield piece Troy Tulowitzki. Of course crowd favorites Aaron Judge and Giancarlo Stanton will also engage fans once again as the Yankees, like the Mets compete for a post-season pass by the end of September. That’s a long way off for now...but each sunset does brings us one day closer to the start of the 2019 season, so, we're in the home stretch. Let the final countdown to Spring Training begin! SLADE WILL RISE AGAIN BECAUSE SLADE BELIEVES IN SUCCESS! 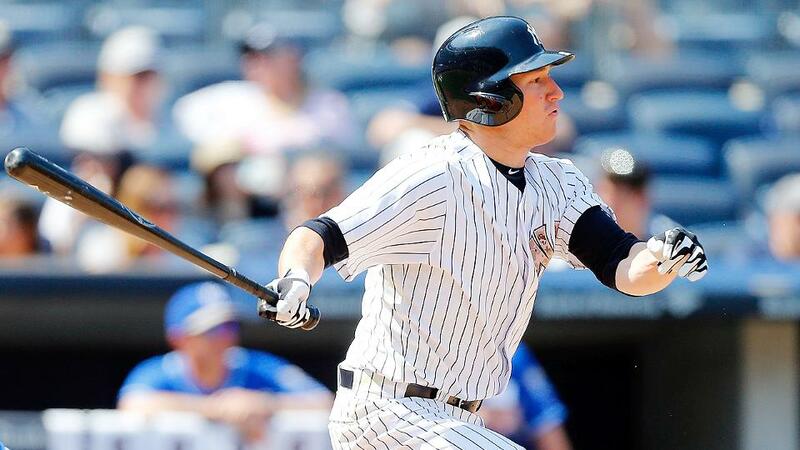 I chatted with Slade Heathcott on the phone for nearly an hour. He's a cool cat. Not only that... he's honest, emotional, sincere and most of all, passionate. Passionate about his life, about his son, about baseball and about what's next. I hope you realize something about this young man. When baseball ended for him... he didn't end. Slade was just getting warmed up. He's alive and well and ready for his next thing... making a difference. What you're about to read is the most opened and honest interview we've ever done here at BYB. And it's provocative. The main topic is minor league baseball and a behavior against these young players so controversial and wrong, it needs to be not only be exposed, but corrected immediately. Listening to Slade speak about the way minor league ballplayers are treated, and doing my research for the past few weeks, the information that's out there is disappointing, shocking and almost criminal in my humble opinion. We are talking about young athletes that are taken advantage of because they have a dream to play baseball. And the owners know this... and in my opinion they take advantage just to line their own pockets. It's the equivalent of cattle. It's a farm system to them... literally. It's disgusting. You'd almost question where we live in the world. But this is America, land of the brave, home of the free. But in this case, minor league athletes are treated so badly, the abuse almost feels like they're not free. It must stop now. He's making life changes involving being a pilot, as well as working on other project, one of them being a 501c3 called More Than Baseball, or MoreThanBaseball.org. A not for profit that is making people aware of how minor leaguers are treated in a Major League baseball world. It was eye opening. I let him speak... and speak he did. Slade Heathcott: Do you know how much a 6 year guy gets paid as a minor leaguer? Today’s estimate is $12,000. That’s less than a hot dog vendor at that player’s major league stadium. I want you to think about that. How do you live on that? You don’t. It’s not enough for training. It’s not enough for good food. Casey: Are you kidding me? Slade: No man! Let’s not forget that minor league baseball players are athletes. They are the farm team of the Bigs. Without feeding and helping to protect these minor leaguers correctly, you end up with a lot of broken down minor leaguers that just don’t survive in the game or never make it to the pros. Casey: But how long has this been going on and what can be done about it? Slade: We decided to put together More Than Baseball. The goal is to find a way to get all 30 Major League teams together to be able to raise money to help minor league players. Enough with the friction between players and owners and enough with controversy. The goal should be to get these teams help, through community, through fundraising, be it affiliates or otherwise to improve the lives of minor leaguers. Casey: It just seems so crazy to me because as I know from my sons. I mean, my 16 year old plays baseball and all his coaches talk to him about is solid training and good nutrition. So it makes a ton of sense. That nutrition is fuel. Slade: Nailed it. We need to get them good food, not fast food. Heck, even if there was a deal between the team affiliate and restaurants and stores around that area where their minor league park was. Like maybe 15% off a healthy meal, that could help their bank account and still allow them to get better food for their bodies. I am trying to nail down something with a group called “Get your Elements”. 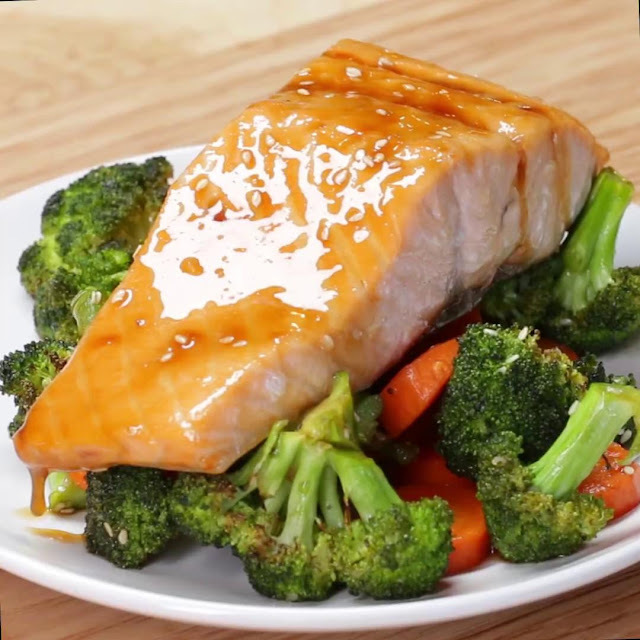 Food that’s packed with nutrition for these young players. Without solid nutrition, how do you think these guys will perform on the field? They currently eat fast food. Imagine the talent pool if these young players were eat right and had the money to train better. Casey: I love that. Maybe teams could team up with big stores. Harris Teeters, or Shop Rite or restaurants. Slade: Yup. But not only that. These players also need better equipment. We need to get them better equipment rather than a minor league player or a player’s parents buying it for them. Good bats and better helmets, or extra training. Think about baseball for a second. It’s not like they come out to a 7 PM game at 6 and just run around the outfield and they’re ready to go. It’s a 10-hour day. Players are playing every single day. There are early workouts, Cages, hitting the field for BP. Minor Leaguers are athletes. Does it make sense for them to ride a bus for 10 hours and find a Wendy’s at 10pm because they don’t have enough money to eat good food? If owners collectively agreed to bump up their $12,000 minimum salary, even that would help. How much better would a team’s farm be if owners and teams took the time and money to feed their players properly instead of weeding out the crop. Casey: True. How did it effect you early on? 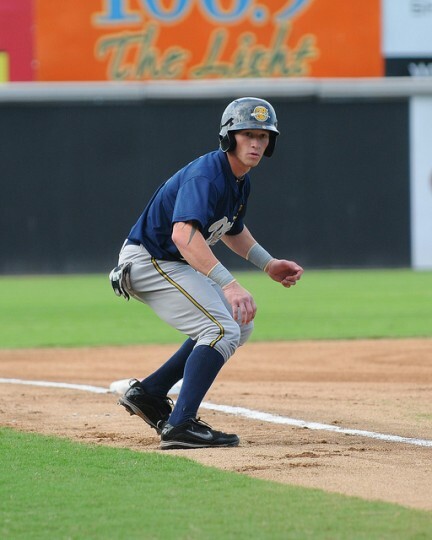 Slade Heathcott: My first year in Charleston for the Yankees minor league system I made $6600. That didn’t cover my training costs. But thank god I was represented so that was taken care of. For a lot of players, they don’t even have that. Their parents are paying for it. 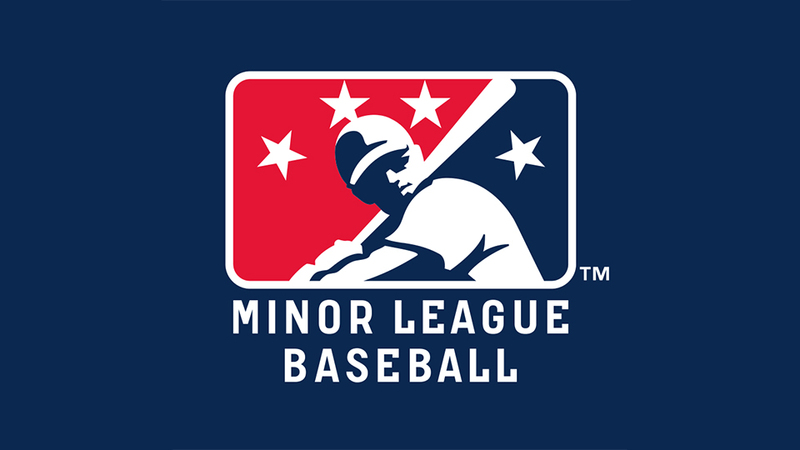 There are tons of fans out there that love this game but have no idea what’s going on with the minor leagues. It’s bad. We need to educate them. 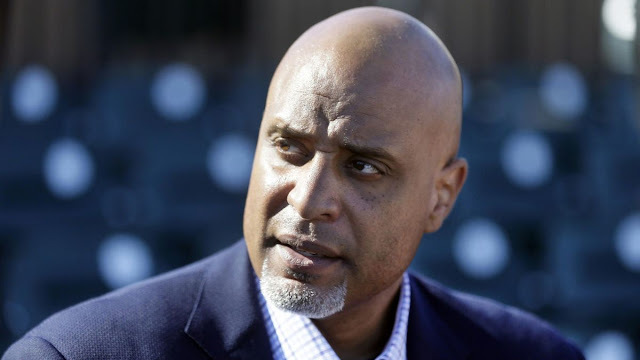 Luckily, guys like Tony Clark, Xavier James are on board to say “Hey, let’s look at this, let’s raise money and let’s try to improve the minor leaguers conditions." Casey: Well that's really good. Slade: Yup. Hopefully we can bring the game together. Check out MoreThanBaseball.org . There's a lot to read and learn. I hope your audience checks it out. It's exciting. I'm energized by it. Casey: I can tell, I love it. Let's change gears. Your debut at Yankee Stadium and as a Yankee in the majors. I want to know the feeling and I want to know how it all went down. Slade: May 20, 2015. Well, that night I ran for Mark Teixeira in the 9th inning. This is how it happened that night before. I got back to my place. I was feeding my son and I was with a bunch of guys… Bryan Mitchell, some others. I didn’t really have my cell on me at that moment. One of the guys says “Hey, Jacoby Ellsbury went down.” I didn’t think anything of it, but in the mist of that, I had missed calls on my phone. I called back Dave Miley who was trying to call me. Great guy... really great dude. “Pack your bags, you’re going to New York,” Dave said. I said “Stop messing with me, man'". He said he wasn’t and I was shocked. I packed and went. Casey: Love it. It just happens that way. Just like they say. What's it like to put on the pinstripes? Slade: Standing there in that uniform is amazing. Looking around me, there is literally nothing like putting on pinstripes. A center field debut. CC Sabathia is on the mound. There's nothing like that. Nothing. Casey: You're getting emotional right now. Slade: I am. And even more than wearing them was that home run in Tampa. Casey: You read my mind. Tell me about that. Slade: Tampa Bay. 2015. Top 9. I had no intention of going in. I was literally filling water cups for my teammates. It's what I did as a young player. Make sure the big guys are hydrated. Joe calls my name. I think it was Chris Young that was supposed to be batting and Brian McCann's on first. I assume I'm running for McCann and I start stretching. But no, I’m hitting. I was like "What?" I got no swings in and John Ryan Murphy is literally telling me what Brad Boxberger throws. Well, the boss man upstairs wanted that moment to happen for me. But that wasn't the best part. I hit it and I'm running around the bases in a Yankee uniform and all the guys, my teammates... guys like ARod, they are all going crazy. 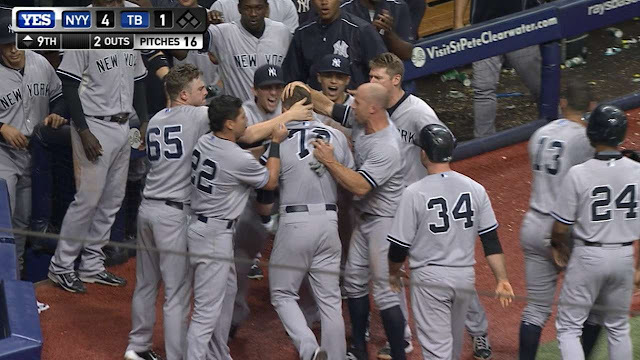 It's hard as a teammate to not do anything as a player, but when you do something like that home run, it's amazing to see the guys support you like that. Casey: Damn, that's awesome. I never heard that story behind the scenes. What else can we talk about? Slade: I can talk all day. But look, I'm on a mission to do different things now in my life and I'm going to. Only what's impossible is possible. Like this pilot stuff I'm doing. Casey: I was just gonna ask you about that. Tell me what got you into this pilot stuff. You're flying planes? Slade: Well, I knew I wanted to be a pilot before baseball was even gonna happen for me. I knew I wanted to join the military. I wanted to fly fighter jets. I always did and so it's going to be reality for me. 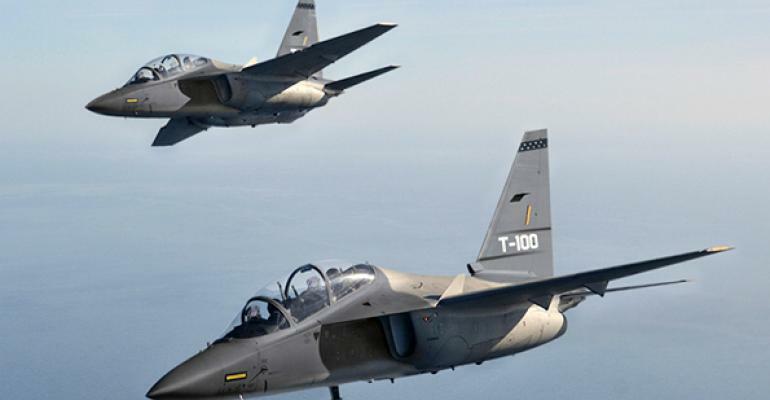 I want to fly in a fighter jet. In 2011 and 2012, I would wake up and fly in Tampa and then I went to the field and played. Now I'm not playing ball so I'm going back to get CFI, 10 rating, 7 months and I'll be busy, it will go through the summer, but I'm gonna do it. Casey: What else do you want to do in your life. You seem full of energy right now. Slade: Ah man, I have a bucket list. And listen to this. 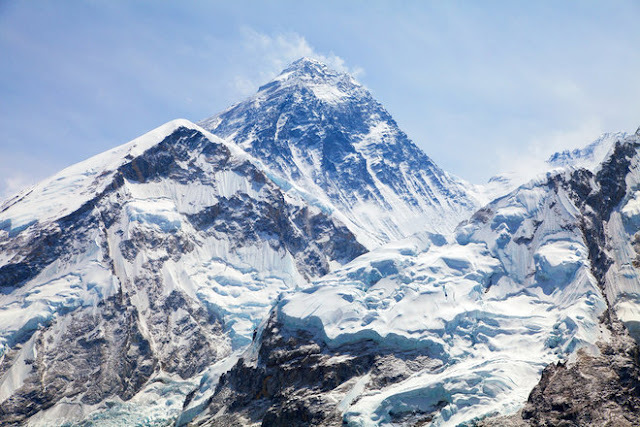 I want to climb Mount Everest. And on the other side of it, I want to open an orphanage. I know, the 2 don't even go together and the orphanage sounds weird, but I'm so committed to it. I have made it my mission to serve in my life. My life is to dedicate and serve. I also want to do things that I've only thought about and dreamt of before. Like running my first half marathon. I hate running but I'm going for it. I want to raise money for non-profits. I want to help others. I just want to do it all. Casey: OK, I'm exhausted. Ha! Slade: Ha. This is me, man. Real deal. Slade: We can’t always control the cards we’re deal. We can you control what we’re playing. Ladies and Gentlemen... Slade Heathcott is my buddy. I love this dude. He's inspirational and has more energy than anyone I know. I hope you enjoyed this interview. Slade, thanks for taking the time. Manny Machado shouldn't hold out too long or he's gonna get no where near what he thinks he deserves. It's a real joke now, isn't it? "The Padres are making a run at free-agent slugger Manny Machado, Kevin Acee of The San Diego Union-Tribune reports. Acee notes that San Diego was not one of the original mystery teams previously reported in the Machado sweepstakes, but it became a player once it became apparent the cost would not be astronomical. If the Padres were to land Machado, they envision playing him at third base, per Acee's report. 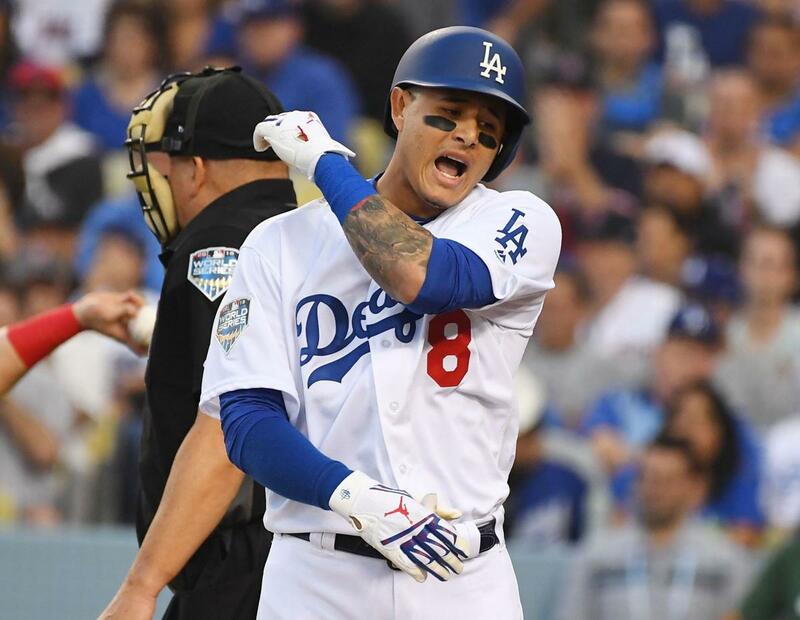 Machado has said to prefer playing shortstop, but he figures to wind up with whoever has the best offer." If the Padres would take a chance on Manny, good for them, but this almost seems embarrassing for Manny. He's coming off as a selfish player looking for a ridiculous pay day I doubt he'll get. Plus... is playing for the Padres really a thing these days? That's all the news on Manny we have. Slow going. He is probably thinking about that hustle comment every single night he's crying himself to sleep. Tool. DAVID CONE & JACK CURRY HAVE A BOOK COMING OUT! I remember seeing this a few weeks ago on Twitter, and I guess with everything going on in my life, I accidentally glossed over it. But the truth is this is Bleeding Yankee Blue. We are not only huge Yankee fans, we are true YES fans. And it goes beyond that. I've been following Jack Curry since the New York Times. Love him. Love his journey. And obviously when it comes to Coney, We followed him with the Mets, Royals, Yanks and even the Red Sox if you can believe it. Put these 2 together and it's a powerhouse. Check this out. That's right. 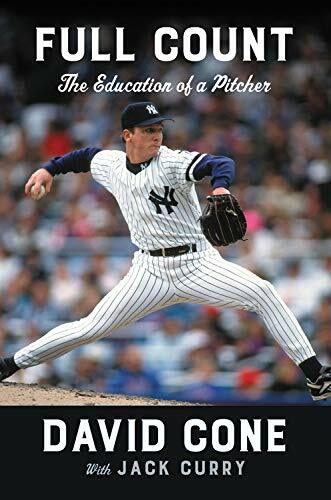 David Cone wrote a book with Jack Curry and you can pre-order it on Amazon. The book comes out in May. Now, much like I did with our bud Bryan Hoch or when Billy Sample had his movie and book out a few years ago... I need to make sure I share this stuff with all of you all so that you can take a moment and pre-order it, read it, watch it... whatever it is. I know Full Count is gonna be a good read with these 2 involved and I'm excited about it. Take the time, click on this Amazon link and support Coney and Jack. Pre-order HERE! Great baseball people... and just amazing people as well. We all love comeback stories. Not just a game when your team is down in the bottom of the ninth and someone hits a walk off home run. Sometimes it more than just a player who has a bounce back season after their career worst. 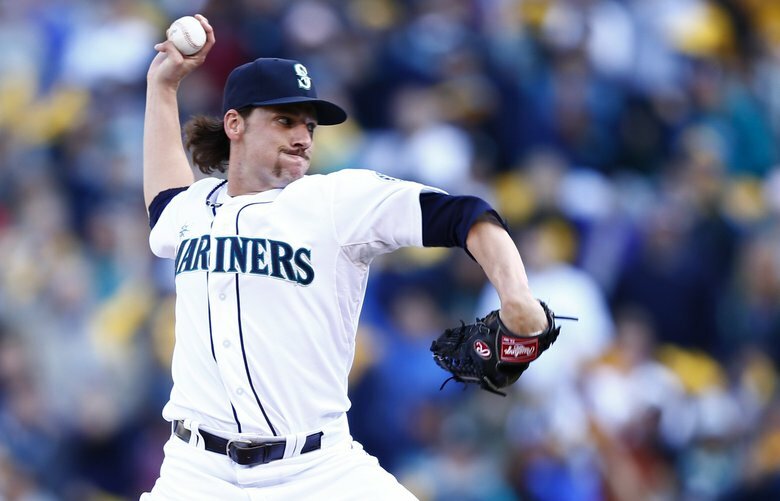 The Yankees have their own comeback story now, his name is Danny Farquhar. You may recognize the name. Farquhar survived a scary incident this past season, the kind you don't hear about too often. After pitching in a relief appearance on April 20th, he walked off the mound and into the dugout as usual. Suddenly he collapsed and was rushed to the hospital where he was treated for a ruptured brain aneurysm. Farquhar had a complicated surgery to relieve the swelling and bleeding around the brain. It's a very dangerous and risky surgery, but he is proof that miracles do happen. I just wish these kinds of miracles happen more often. I have seen how devastating a brain aneurysm is on a person and their family. My husband works in public safety and on August 1, 2018 our community lost a great man, a real life super hero to a brain aneurysm. I never got the chance to meet this man, but my husband spoke highly of him often. He says this man inspired him and motivated him to get to where he is today. I wish I could've met him, but most of all I wish his same surgery would've been successful and he could've had the same miracle as Farquhar. Baseball has a lot of common injuries. 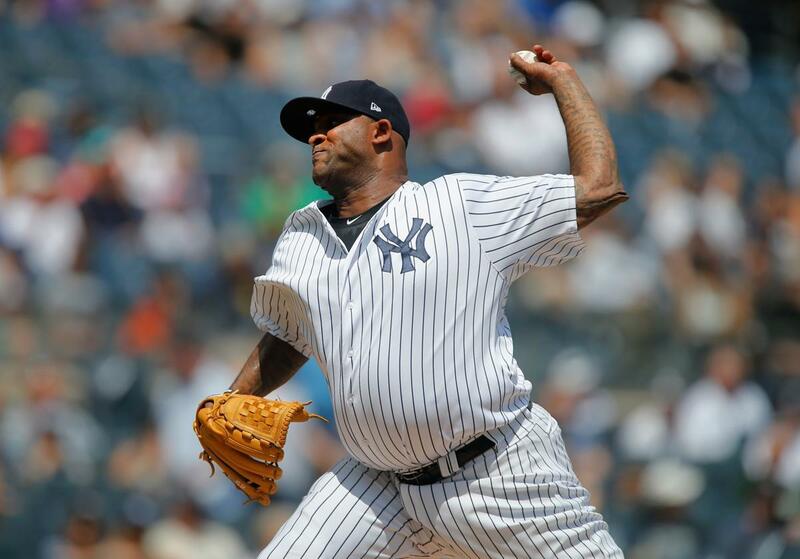 We hear about guys who have knee problems like CC Sabathia, or they blow out their shoulder. Or what about Tommy John surgery? Didi Gregorius knows all about that and nowadays it's common....and that's sad to say. But how often do you hear about baseball players fighting against a brain aneurysm? Former All-Star first basemen and World Series champion John Olerud had one in college, but he recovered and had a long and successful big league career. Anaheim Angels pitcher Kent Mercker had a brain hemorrhage back in 2000 but quick medical attention prevented the bleeding on his brain from turning into an even more critical situation and he recovered. 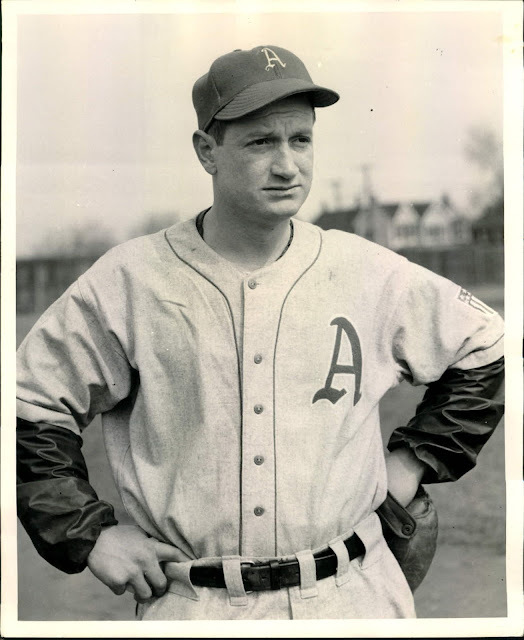 Pitcher Don Black also suffered a hemorrhage in 1948 and he made a full recovery but he never pitched again. 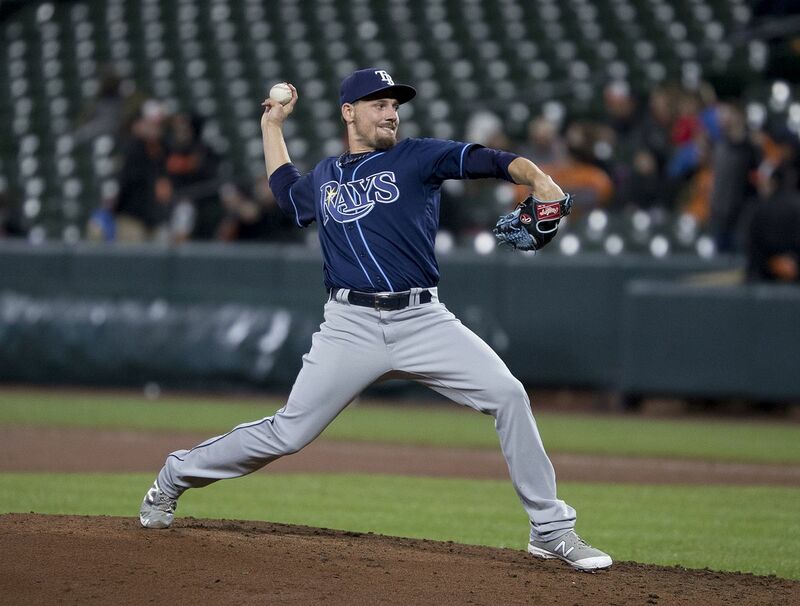 Fortunately for Farquhar, it looks like he will have a chance to pitch again. 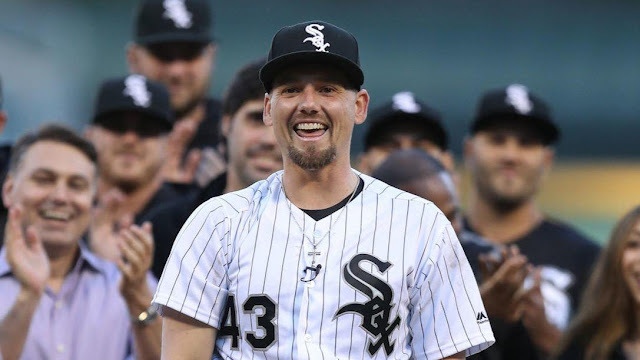 The Yankees just signed him to a minor league deal, but getting a spot in the bullpen with this talented group of guys is going to be another challenge for him. Even if he doesn't win a spot in spring, he has already proven that he is a fighter. We always need guys like him especially when we are chasing after a championship. He's a survivor, and I will always take survivors on my team. They know how to fight. Even if he never makes it back to the big leagues, his story is miraculous. Welcome to New York, Danny! I look forward to watching the next part in your inspiring story.